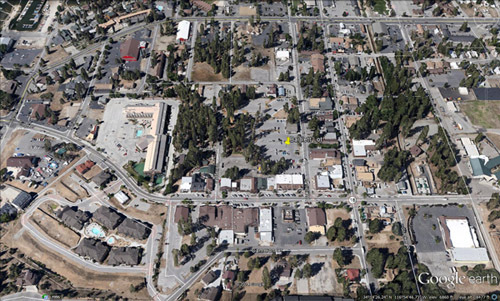 The Big Bear Fun Run™ is a 3 day car show held in the Village of Big Bear Lake California. The event includes about 500 pre-assigned parking spaces, a Saturday afternoon 'Cruise Around the Lake' and a Sunday morning drive through awards presentation. The event will be our 30th annual show, and over the years has earned a very favorable reputation. The Fun Run is always held over the second weekend in August. The streets are generally full of spectators, and a summer shower may develop. This is a fun event. 2019 Fun Run Registration is $60.00. Limited to the first 500 entrants. Spectators are, of course - FREE! 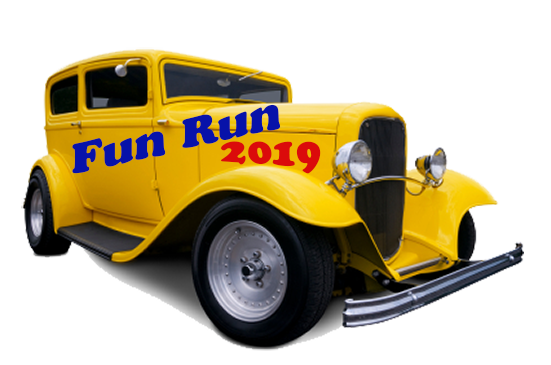 For Registered Cars, tthe FUN RUN registrar will try to park you with your car club and/or friends, provided you have completed information on this registration form. However, we will be unable to honor any request to park your group or club in a specific space or location. Your best chance to get a preferred space is to be prompt when you return this application. All spaces not claimed by 9:00 AM Saturday are subject to resale. Trailer Parking will be made available. At about 2:30 PM, the award winners will be posted and notification sheets handed out. 3:00 PM - Draw and announce the winner of the 50-50 raffle prize. Winner must be present. Cruise line up starts at 3:45 PM, Saturday, August 10th. Village Drive & Big Bear Boulevard. The Cruise goes West from the Village entrance on Hwy 18, across the Dam. Turn right on Hwy 38 and go through Fawnskin. Continue on Northshore, turn right on Northshore lane, and turn right on North Shore (Hwy 38) to Stanfield Cutoff and turn right, go across the cutoff to Big Bear Blvd. and turn right, and back to the Village. Click here for downloadable/printable Bartlett Lot image. Due to insurance liability issues, the follow new rules are being enacted for Fun Run 2018 and thereafter. Your cooperation will be greatly appreciated. 1. No vehicles will be allowed entry after 9:30 AM or exit before 3:45 PM from designated show area. There will also be no vehicle movement allowed (i.e. : pin stripping appointments, etc.) within the show. Medical emergencies will be the only exception, see the information booth to make arrangements. 2. Burn outs will not be allowed within the show area or on the cruise around the lake. Failure to comply will result in not being allowed to participate in future shows. 3. Pop-ups are not to be set up in assigned/numbered parking spaces on the streets or parking lots. They may be used on sidewalks, and dirt/open areas where space allows. 4. All pop-ups must be weighted down to protect cars and participants from damage and injury caused by movement from wind.